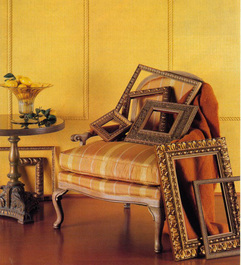 The importance of a custom frame in your home or office states "look at this, this piece is important to me." The value of the art or whatever you are custom framing plays no role into how the piece makes you feel and the level of importance it is to you. Custom framing not only enhances the artwork, but it also can bring in texture, color and creates a mood for the artwork and the room. When selecting a custom frame choose a frame that compliments the work, selecting a color scheme, pattern or style that works within the art, custom framing can also help in transitioning a contemporary painting into a traditional room. Allow the staff at Long Island Picture Frame & Art Gallery help you select the perfect custom frame for your home or office. With over 10,000 frames to choose from, we are confident in complimenting any decor. View our Hall of Frames page and see some creative designs by our staff. You can frame anything, you just need to give it a little bit of thought and imagination. 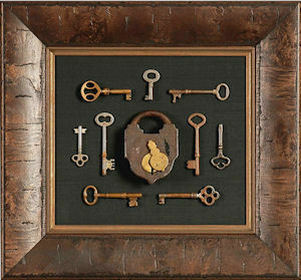 Above, a selection of old keys, custom framed with a vintage lock. 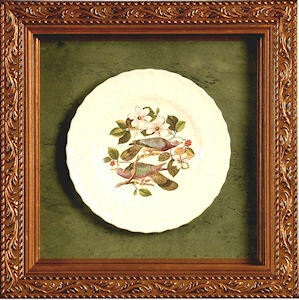 Would you like to preserve that family heirloom plate that has been passed down from generations? Featured above, is a small collectable plate custom shadowboxed. A great gift idea for that special person who loves watches. Find some vintage watch faces and have them custom framed. Anything can be custom framed, just use your imagination! 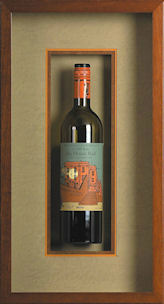 Custom frame and shadowbox that special wine bottle or champagne bottle. This idea makes for a truly unique framed display. Are you a needlepoint artisan, or have an old family heirloom needlepoint? We handle all of our customers treasures as if they are our own. Custom frame and shadowbox an usual artifact, something you found on the beach, or an African mask you picked up on a safari. The possibilities are endless to what you can have framed! 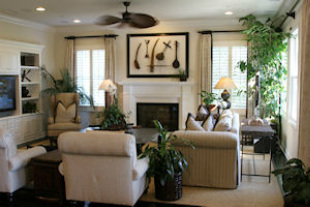 Think creative and allow Long Island Picture Frame & Art Gallery to assist you in the preservation. When having something custom framed, glass can be an important factor in the framing process. Read about all the glass options Long Island Picture Frame & Art Gallery offers. Custom matting can add a an element of dimension, enhance color in the item you are framing and can also increase the overall size of the finished piece of artwork. 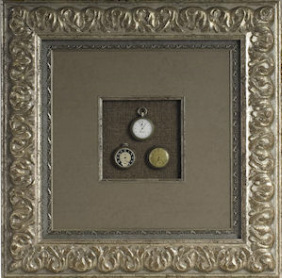 Mounting is a behind the scenes process when custom framing a piece of artwork or document. There are many options when deciding what type of mounting process should be used. Stretching is another behind the scenes process when having a canvas or needlepoint or sport jersey framed. Read about the benefits in the different options we offer.